Naturally, I born wavy and wild frizzy hair. I hate that frizzy hair style. It make me look untidy and less attractive. WTH! Don't throw up please!!!! The only solution to my knowledge all this while is rebonding hair treatment. I have been doing this almost every year. I am worried about getting my hair ironed every year. Gosh! I am not getting anymore younger so does my hair. How long this poor hair of mine can stand that heavy chemical treatment coated on and flat iron it with the heat straightening iron. Even my neck almost drop putting up with the long hours procedures. I was invited to try out Keratin Treatment at A Cut Above. I am glad to finally try this out. I love the end result very much and the process is simple than rebonding. Like I said earlier my desire result is to tame my untidy frizzy hair. Not really about straightening the hair. So which one to choose? Rebonding or Keratin? * Rebonding process - the bonds of your hair are broken with chemical formula and then neutralizer are applied to restructure the bonds. This will make break the curly hair existing bonds and with straightening it will make the new bonds to rearrange the structure of your hair. * Result? Errrrr....Flat ironed hair! Frizzy free, smooth and shiny. I won't say hair rebonding is permanent. Mine normally last for at least 6 to 8 months. 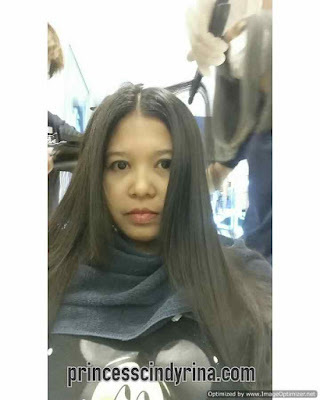 * Time to spend at Salon for Hair Rebonding? Those days use to be at least 5 hours but now the chemical use more improved but still need to spend at least 3 hours plus. * Keratin treatment suitable to relax the curls and frizziness of the hair. WTH! 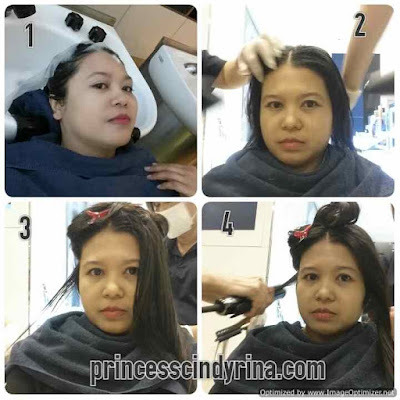 What I have been doing all these years damaging my hair. * The hair treatment used for this are safe and treat the damage hair too. * Time spend 1.5 hours and its and easy process. I was invited to try out the K Gloss Keratin Treatment at A Cut Above. I did mine at Pavillion , KL branch. 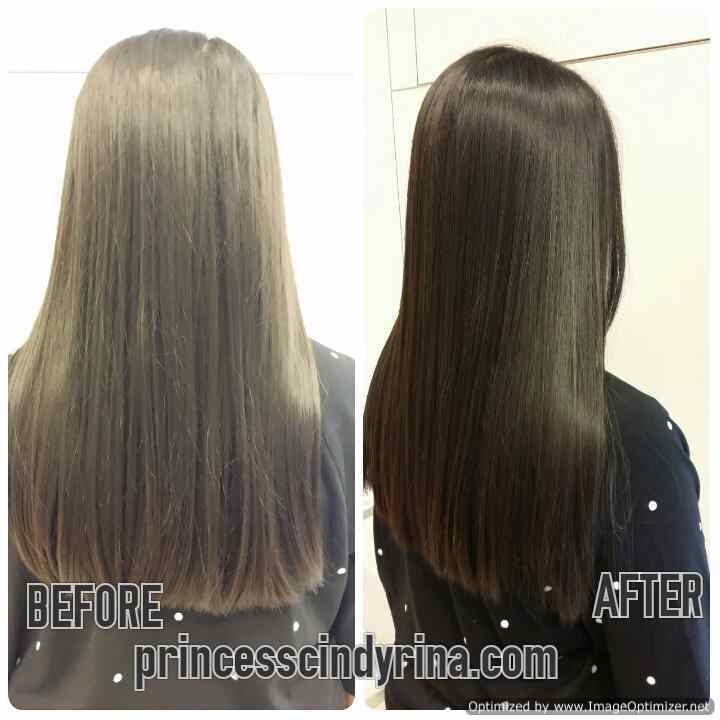 Like I mentioned earlier the process for Brazilian Keratin Treatment is easy compare to Rebonding Treatment. 1st Step - Shampoo and Head Massage with Kerastraight to open hair cuticles for easy absorption of Keratin. I was left for 10 minutes before wash off the shampoo from my hair. 3rd. 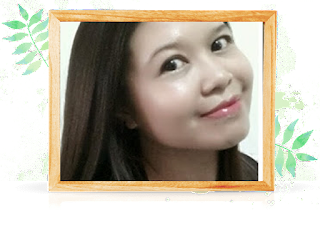 Apply Keratin since my hair have done the rebonding last year Nov 2016, so they told me I don't need to wait for 20 - 40 minutes. They just apply and blow dry. 4th Step- Iron hair with the Keratin on it. Basically , who ever do the K Glossy Keratin Treatment walk out with Keratin on their hair. Before - My hair look straight but unhealthy with lots of damage hair too. After : Straight natural and glossy look. This is after the K Gloss Keratin Treatment at A Cut Above , Pavillion Kuala Lumpur. I was told not to wash my hair for 2 - 3 days. I bear for 3 days not washing my hair. Kiasu! Here are the result after 3 days not washing off the Keratin from my hair. Love the natural unfrizzy look hair. I wanna have a hair cut but those people refuse to cut it for me . They asked me to grow it longer and then visit them again so they can give me a nice layer hair. 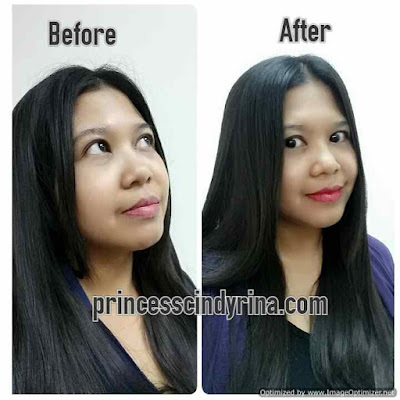 K Gloss Keratin Treatment start from RM550 and above. Will I do this treatment again. Oh yeah!!!! I would do this rather than my usual rebonding. Where I did my K Gloss Keratin Treatment ? Level 4, Parkson Pavillion, Kuala Lumpur. The after treatment photo shows ur hair looks so shiny and alive. 👌. wow I can see the difference before and after. I think I need my hair need a Keratin Treatment too, its getting frizzy and dry. Wow didn't know that rebonding can take such a long time.. Keratin treatment sounds like a better idea since it only takes slightly above an hour and the outcome is also good. Such beautiful hair. Glossier and darker, somehow! I would do a treatment to treat damaged hair but my hair is born straight. Wow Your hair looks so good after! Lol same with me, I won't wash my hair until day 3 or plus but my scalp quite oily one. Your hair looks nice but I think the price is too expensive for me. I also hate frizzy hair and it make me looks more aunty. Should give a try on this treatment. Your hair looks so nice! 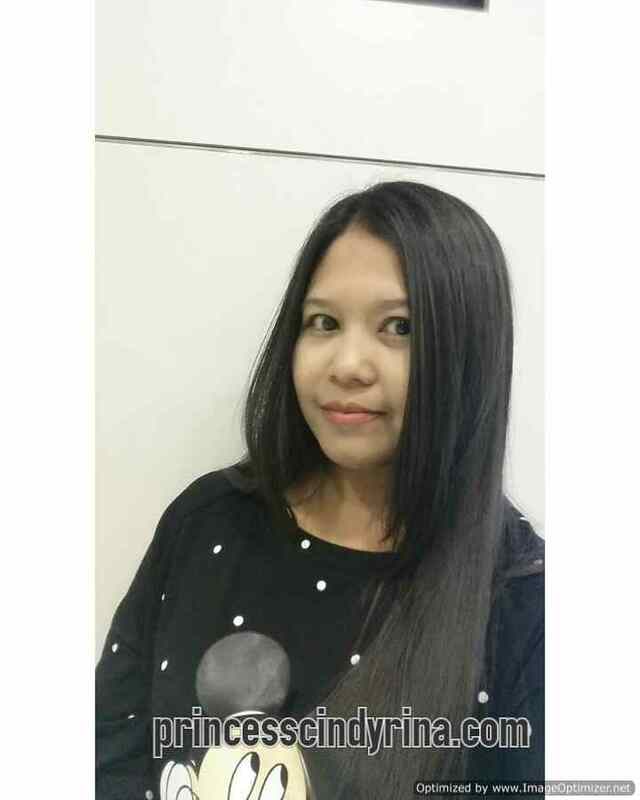 Mine ...always frizzy ..kakaka. I have only done rebonding once in my life. Cannot tahan sit long-long. I seriously love this treatment on my hair!! The after results is amazing!! The after result looks great. Really shiny and smooth! Can I ask how long the results of the treatment lasted? How long was your hair not frizzy for? Hi Ellen, it last for 4 months on my hair. your budget around RM300 and last around 3 to 4 months. Hi Jacinta, yes you can. In fact Keratin treatment can make you curly hair frizzy free and smooth. Try this at your nearest Salon who offer Keratin treatment.